Vacationing on the Outer Banks is, for many, a restless whirlwind of activity — but it doesn’t have to be. An ideal setting for personal restoration, the Outer Banks is home to a thriving and committed wellness community. From yoga instructors to massage therapists, the area boasts an abundance of alternative health practitioners devoted to fostering individual well-being. Among them are the professionals at House of Hemp OBX. 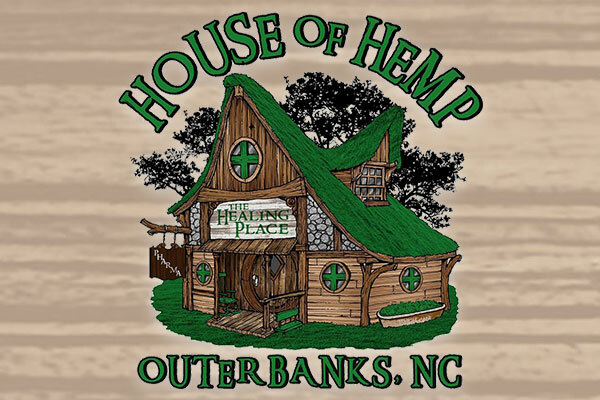 Located in the Seagate North Shopping Center in Kill Devil Hills, NC, House of Hemp OBX offers responsible and reliable homeopathic support through high-quality hemp and cannabidiol (CBD) based products. Aware that CBD is new to most people, their knowledgeable and compassionate staff takes the time to educate each visitor about its numerous benefits. Without the psychoactive effects of THC, CBD offers a natural way to ease stress, improve sleep, promote skin health and, most notably, relieve pain. No matter who you are, if you’re burdened by chronic conditions like arthritis, inflammation, insomnia or anxiety, or if you’re trying to manage an acute injury, CBD could be your solution. House of Hemp OBX carries the best quality CBD products available, including both full-spectrum and THC-free sublingual oils and capsules as well as flower, salves, creams, edibles, massage oils, personal care products and soaps. Made from plants organically grown and extracted in the United States, every product at House of Hemp OBX is one you can trust to be safe. At House of Hemp OBX you'll also find an array of hemp products, including hemp hearts (raw, shelled hemp seeds), hemp extract coffees and teas and hemp jewelry, plus hemp hats, backpacks and tees.